Spain’s Marc Marquez is the World Moto GP champion for the fourth time. He sealed the title after finishing the Valencia grand prix in third place after a ninth-placed start on the grid. Most of the action came in the final laps as French rider Johann Zarco fought hard to hang onto the lead for a maiden win, Marquez took him only to go off the track, and then his only real rival for the title, Italy’s Andrea Dovizioso had to retire after a fall attempting the same. 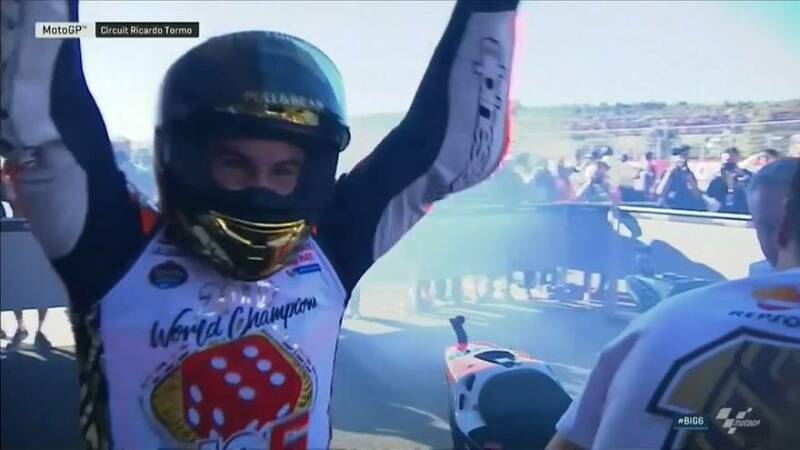 In the end it was another Spaniard, Dani Pedrosa, who took the chequered flag and won, creully denying the French rider victory on the final lap. That meant Honda sealed the constructor’s title ahead of Ducati. The rookie Zarco was delighted with second and his sixth-place finish overall marks him out as the man to watch in 2018.